Finally...I accomplished a goal! I joined in with Amy's Creative Side for last week's "One Thing, One Week Challenge" to force myself to set a project goal and actually finish it within one week. My goal was to finish my quilt top for my first quilting project, Atkinson Design's Yellow Brick Road quilt in the lap size. And here it is! I have ordered three different fabrics to choose from for the border, binding, and backing; so I'm at a standstill until those arrive in a week or so. I haven't decided yet which way to go for the border: black, cinnamon, or creamy with little cinnamon flowers. 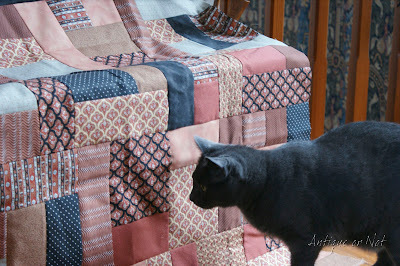 After my cutting mishap, it was pretty dicey as to whether or not I was going to be able to finish the quilt with what I had on hand, but luckily I was able to come up with an alternative that would work with what I had left. 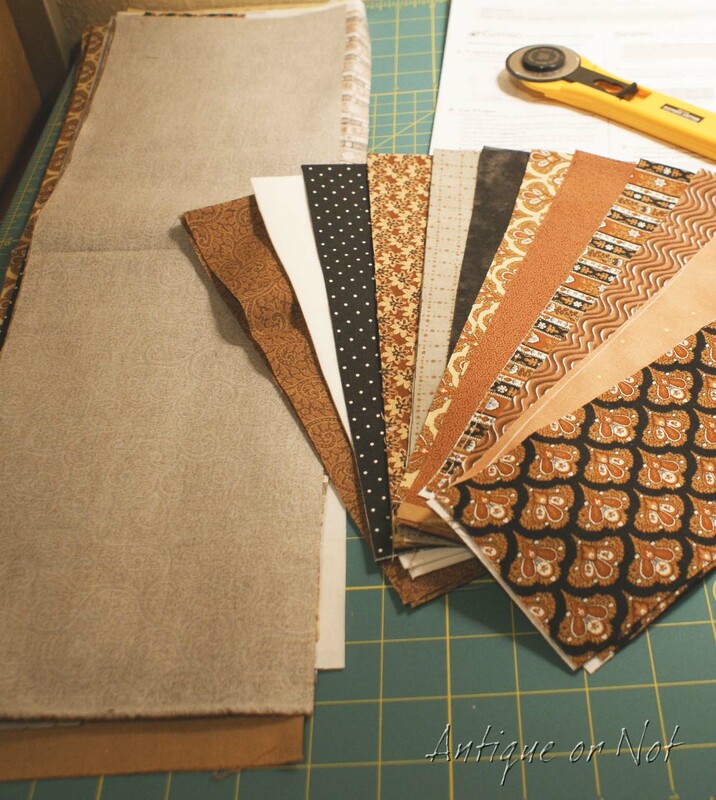 Before I pieced all the final blocks together, I changed my mind about one of the fabrics I had used, and became good friends with my handy seam ripper as I pulled off every offending piece and found something else in my stash that would work a little better. Of course, Smokey had to check it over for for me, just to be sure all the stitching was even. His opinion was that it wasn't perfect, but it would do for a first try. Note to self: Next time do a better job picking out your fabrics! Oh my word, it looks beautiful. 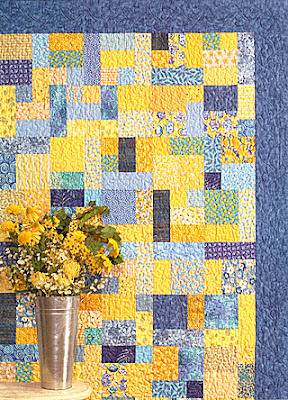 I have making a quilt on my bucket list, we'll see how it goes, maybe by the time I am 80. Aren't hubby's great for their comments, I know they mean no harm they just...aren't girlfriends : ). stitch sampler. And you caught up so fast, amazing. You've done a beautiful job. Wow Pam....Great job!! love all the brown tones. I love it...colors look great to me. It makes me miss working in the quilt shop and seeing all the wonderful quilts that customers brought in to share with us. You really did a nice job, the quilt is so pretty, I love it! Great job, the quilt is beautiful! 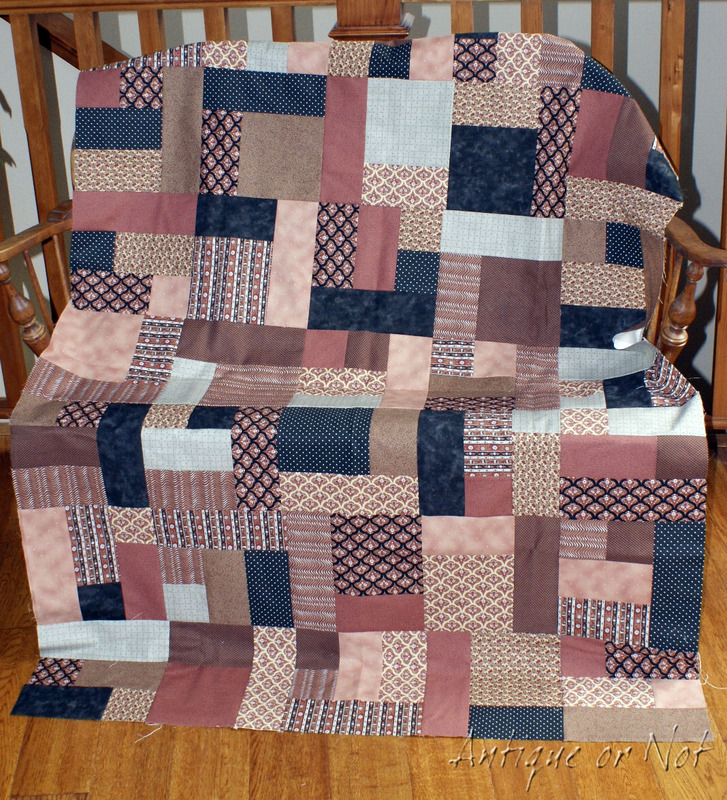 I think it is a beautiful quilt and a perfect neutral. Love it! It is beautiful! I am sorry to hear your seam ripper got so much use. I hate when I change my mind or mess up bad enough to have to rip stuff out! I think the fabric choices are outstanding! Your cat looks to like it too! Great job and in only a week! Terrific!